According to the World Health Organization (WHO), 4.3 million people die every year from indoor air pollution. Nearly 34% die from stroke, 26% from heart disease, 22% from chronic obstructive pulmonary disease, 12% from pneumonia, and 6% from lung cancer. Although when we think of pollution, we tend to imagine smoke-filled skies and car exhaust, there is also the hidden danger of indoor air pollution. Indoor air quality is more important than you think. Want to learn more? Read on to learn why indoor air quality is important and ways to improve your home air quality. Indoor air pollution occurs when particles and gases are present in indoor living areas. There are many different causes of poor indoor air quality. Read on to learn about some of the most common pollutants. Secondhand smoke is a serious contributor to indoor air pollution. Cigarette smoke has thousands of toxic chemicals such as ammonia, carbon monoxide, cyanide, and lead. People who don’t smoke breathe in the same hazardous chemicals as smokers do. According to WHO, 3,000 people die every year from lung cancer due to indoor air pollution caused by secondhand smoke. Compare this to the 100 lung cancer deaths every year caused from outdoor air pollution. Asbestos is a group of silicate minerals that was used in construction material. In Canada, a variety of products used asbestos such as building insulation, industrial heating systems, floor tiles, and even car brake pads. Canada was the top producer and exporter of chrysotile asbestos in the world. 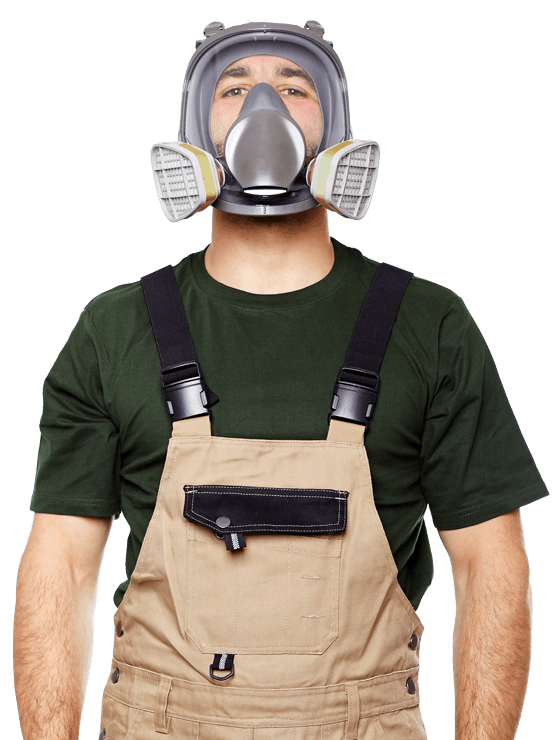 However, when asbestos fibers become disturbed, such as during construction or remodeling, microscopic fibers can get into the lungs and result in a type of deadly cancer called mesothelioma. In fact, because of the high rate of asbestos production, mesothelioma rates in Canada are one of the highest in the world. About 2.1 out of 100,000 Canadians become diagnosed with mesothelioma every year. Carbon monoxide is a colorless and odorless gas. It can come from sources such as gas stoves, automobile exhaust, and leaking furnaces. At low and moderate amounts, carbon monoxide results in fatigue, problems with vision, and reduced brain function. At higher levels, this toxic gas results in headaches, dizziness, loss of consciousness, and death. Biological pollutants are microbes in the air such as mold, dust, bacteria, and viruses. These pollutants come from many different sources. Viruses travel from person to person. Mold grows from moisture. Dust comes from normal human activity. Pollen and pet dander comes from your pets and plants. All these pollutants are particles in the air and are present in your indoor air. According to the EPA, research indicates that indoor air quality is worse than outdoor air quality. Improving indoor air quality is important because of the associated health dangers of indoor air pollution. For example, secondhand smoke causes similar health issues that smoking does such as bronchitis, pneumonia, and lung cancer. Read on to see the most serious problems that poor indoor air quality contributes to. Indoor air pollution exposure nearly doubles the risk of pneumonia in children. In fact, indoor air pollution causes 45% of all childhood pneumonia deaths. Poor air quality contributes to 28% of pneumonia deaths in adults. Other serious diseases from indoor air pollution include stroke, chronic obstructive pulmonary disease (COPD), ischaemic heart disease, and lung cancer. Indoor air pollution can make asthma symptoms worse. Research reveals that individuals with moderate to severe asthma had a 40% higher chance of suffering from an asthma episode on summer days with high pollution than on summer days with normal pollution levels. If you have allergies, biological contaminants such as mold and pet dander can cause allergic reactions. Mold can even cause irritation of the eyes and skin. Fortunately, there are things you can do to improve indoor air quality and reduce the risks of indoor air pollution. Here are some steps you can take. One of the top ways you can drastically reduce indoor air pollution is to keep your home smoke-free. If you smoke, you should quit, or at least don’t smoke inside your home. For guests who smoke, insist that they stay outside while smoking. You should have your house checked for asbestos. If your home was built before 1986, there is a high chance it may have asbestos. If there is asbestos present in your home, you should have it removed by professionals only as these fibers can be dangerous when disturbed. According to the EPA, you should keep your humidity levels at home between 30% to 50%. You can use moisture meters to check levels. This can help prevent mold. Other tips for mold prevention include using ventilation in areas like the bathroom and kitchen. You should also check your home for leaky pipes or faucets. Regularly vacuum and dust your home to keep away dust, pet dander, and other contaminants. You should vacuum carpeted areas at least twice a week with a vacuum that has a HEPA filter. If possible, consider installing hardwood or any other non-carpet flooring throughout your home. You should also wash your linens and beddings regularly. Another tip is to have a clutter-free home. Clutter attracts dust and allergens. When possible, keep your windows open to let in fresh air. During warmer months, turn on the ceiling fans to circulate the air. When cooking, use fans and proper ventilation. To know for sure what pollutants are lurking in your home, you should have your indoor air quality tested. If you know what contaminants are in the air, you can take the steps to remove them and create a healthy indoor environment for your home. Have questions or concerns about your indoor air quality? Contact us to learn more.